George Owens, 72, of Bonita Springs, Florida, a former resident of East Falmouth, died February 12 after a battle with Alzheimer’s disease. Sarah R. (Gasse) Chouinard, 93, of Wareham died February 13 at the Tremont Rehabilitation and Skilled Care Center in Wareham. William Andrews, 84, died February 11. He was a longtime resident of North Falmouth. US Navy veteran Edward Carlisle Nazzaro, 91, died February 1 at the Pond Home in Wrentham, where he had lived for the past several years. He was a former Falmouth resident. Donna M. O’Brien, 63, of East Falmouth died February 11 at Falmouth Hospital after a three-and-a-half-year battle with lung cancer. Paul J. Woods, 85, of Barefoot Bay, Florida, formerly of Mashpee, died February 10. John Wallace MacDonald, 74, of Sandwich died February 13 after a battle with cancer. Doris Mae Olsen, 91, of Clearwater, Florida, died February 3. She was a former resident of Sandwich. 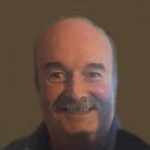 Oliver J. Muldoon, 68, of Falmouth died unexpectedly February 11. Valarie (Balch) Bradley died February 13 in East Falmouth. She was 60. Philip Swing Robertson, 80, of Milton and Falmouth died unexpectedly February 11. Ronald Panepinto of Hanover, who leaves family in Falmouth, died February 13. He was 73. Mary Joyce (Senoski) Gendron, 70, a former Sandwich resident, died March 8 in Fountain Inn, South Carolina, after a five-year battle with cancer. Joan F. (Furfey) Tansey, 77, of East Falmouth died February 12. Robert F. Sullivan, 82, of Mashpee died February 11 after a long illness. Margaret Beatrice Ryley, 97, of Sandwich died February 10 at the Royal Megansett Nursing & Retirement Home in North Falmouth. 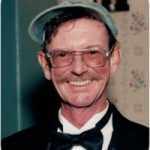 Former East Falmouth resident John James Burke of Mansfield died February 8. He was 95. Alice J. (Kucinski) Kelly, 89, of Mashpee died February 10 at Bridges by Epoch in Mashpee. Marguerite Ann (Flood) Casey, 95, of Sandwich died February 9. On that day, her oldest grandson, Ken Casey, founder of the Dropkick Murphys, dedicated the group’s version of “Peg-O-My Heart” to her. Kenneth F. Parolski, 74, of Mashpee died February 7 at home.